The human spine is comprised of thousands of nerves, each one transmitting messages to the rest of your body. Over time the spinal column becomes compressed, inhibiting these nerves and causing pain and other issues in the process. 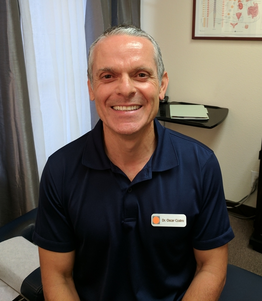 As a doctor of chiropractic, Dr. Castro works to restore your health by realigning the spine through a variety of techniques. Dr. Oscar Castro graduated with a dual degree in biology and economics from the University of California at Irvine. He pursued a medical degree in the anesthesiology department, specializing with cancer pain patients. After 2 years of studying medicine, Dr. Castro took 5 years off to pursue his passion of triathlon, successfully competing in Ironman distance events. He continues to participate in these today. It was at this point in his life when he realized he wanted to help people in a more holistic manner and became a chiropractor, graduating from the Los Angeles College of Chiropractic. His speciality resides in full body adjusting. In addition, he is also credentialed in full body therapy, which includes muscle and nerve therapies. He has successfully treated many people of all different backgrounds, from newborn infants to 95 year old geriatric patients, from the sedentary to the most elite professional athlete.